Have you ever subscribed to an online newspaper archive website? I've tried them twice, but I never found anything about my relatives. Those sites may be worth the subscription fee if your ancestors were important businessmen or socialites. Or if they were involved in a crime or a train wreck. But I never found my folks. I've had better luck with a free newspaper website (see Fulton History below). There I found some real estate transactions by my great grandfather and his brother-in-law. The information was sparse, but it helped me piece together some of his business dealings. 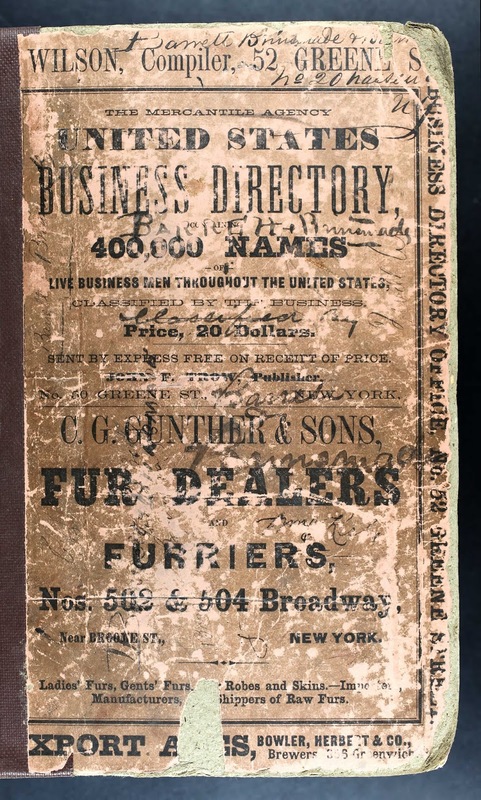 City directories, on the other hand, have been a great help in locating an ancestor in between census years. (See How To Squeeze Everything Out of the Census.) This can help you when you discover your ancestor is not living at the same address in 1930 as he was in 1920. The city directories between 1920 and 1930 can show you where he moved. This directory tells me exactly when Antonio died! 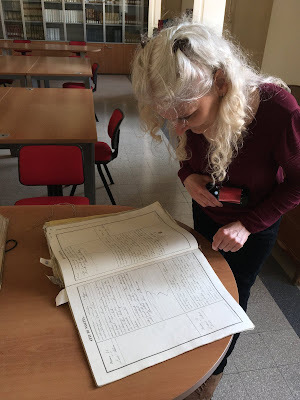 Here are a few free websites (also see Free Genealogy Resources) where you can search for your ancestors. If you find them, you can add more data points to their timeline, giving you a more complete view of their lives. Some of these free sites may have an unfriendly interface or have no search function. You get what you pay for. Tip: When opening a city directory, look at the table of contents so you have a rough idea of which pages to view. Fulton History. What began as "Old Fulton NY Post Cards" now contains over 39,328,000 historical newspaper pages from the United States and Canada. The site includes a good search feature and highlights your search terms on the resulting pages. This is where I found my great grandfather's business transactions. Internet Archive. Type newspaper in the search box, then narrow down your results in the left column. There is so much available on this website that I may devote an entire article to it soon. Library of Congress: Chronicling America. 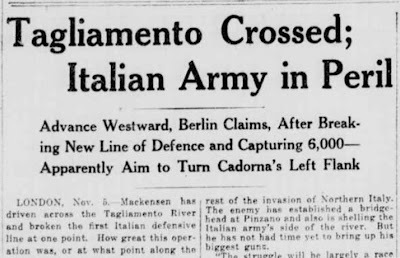 This website contains digitized newspapers from 1789 through 1924 in 13 languages. That's 2,234 newspapers. The search functionality is very helpful. 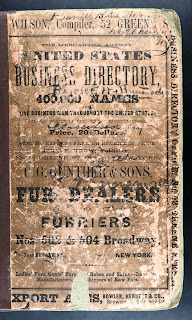 Don's List of Directories, Almanacs, Businesses, Registers, Street Guides. Several states are available. Internet Archive. Type city directory in the search box, then narrow down your results in the left column. Do you need city directories for a specific state? Do an online search for that state's directories. Some state libraries make their state's directories available online. owned one building and lived in another. Subscribers to Ancestry.com have access to their city directories collection. I've used these to locate certain ancestors in between census years. A directory helped me figure out where my grandfather went to live and work upon entering the United States. Directories can show you when a grown son left his parents' household and moved nearby, possibly helping to estimate his marriage date. A city directory may provide a missing piece to the puzzle for you.